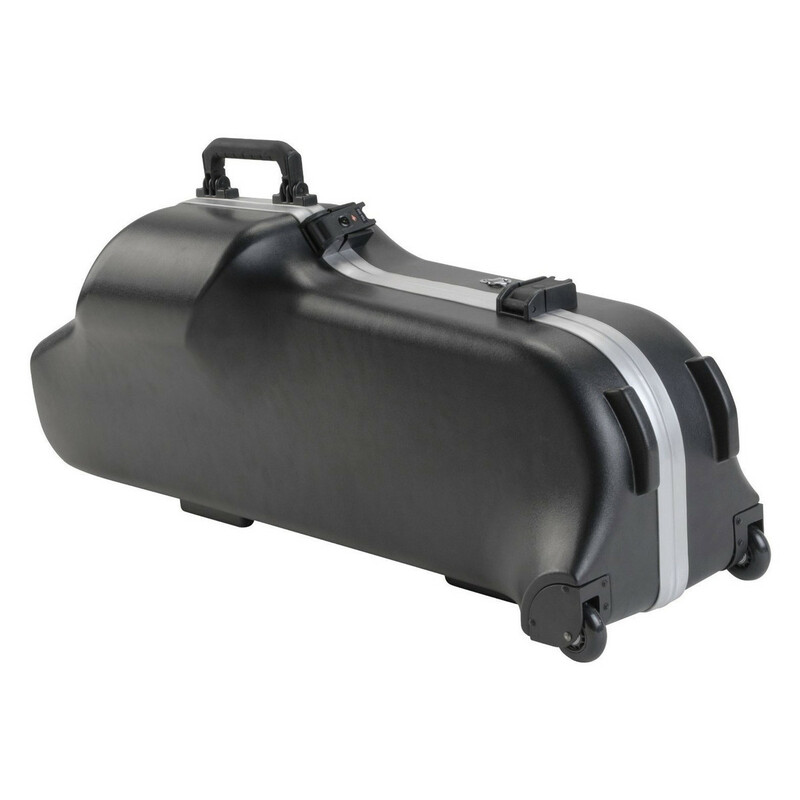 The SKB Contoured Baritone Saxophone Case is a highly-durable transport case constructed from ABS vacuum formed material for maximum strength and lightweight protection. 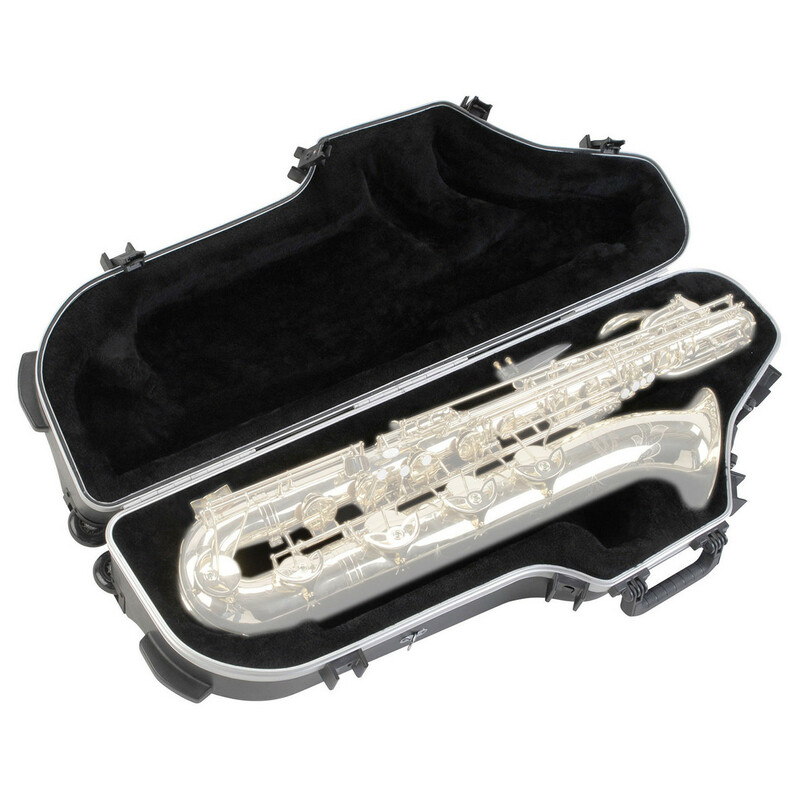 The case is designed to accommodate most popular low Bb or low A baritone saxophones.The interior features an EPS plush lining that holds the instrument securely in place, ensuring it doesn't move around and cause damage inside. Additionally the case features in-line wheels allowing you to transport your instrument with ease. The SKB Contoured Baritone Saxophone case has been designed to offer maximum protection for your saxophone, accommodating the most popular brands of low Bb and low A baritone saxophones (check specifications for dimension details). The case features a TSA locking latch system for added security, allowing TSA agents to check your case with ease and securing your instrument afterwards. The EPS plush interior also helps to keep your instrument secure at all times, minimising any movement inside the case that may result in superficial damage. Additionally the case features built-in wheels for ease of transportation. Accommodates low Bb or low A baritone saxophones from leading manufacturers.